The State Department of Education and Early Development announced Tuesday night that it will continue to recognize teaching license recommendations from the University of Alaska Anchorage’s Education department. The decision comes just days University’s education department lost its national accreditation. The state says it will recognize the students who meet licensure requirements during 2019 Spring and Summer semesters. State Director of Educator and School Excellence Tamara Van Wyhe says the decision was made quickly to support students who were blind-sided by the loss of national accreditation from the Council for the Accreditation of Education Preparation, or CAEP. 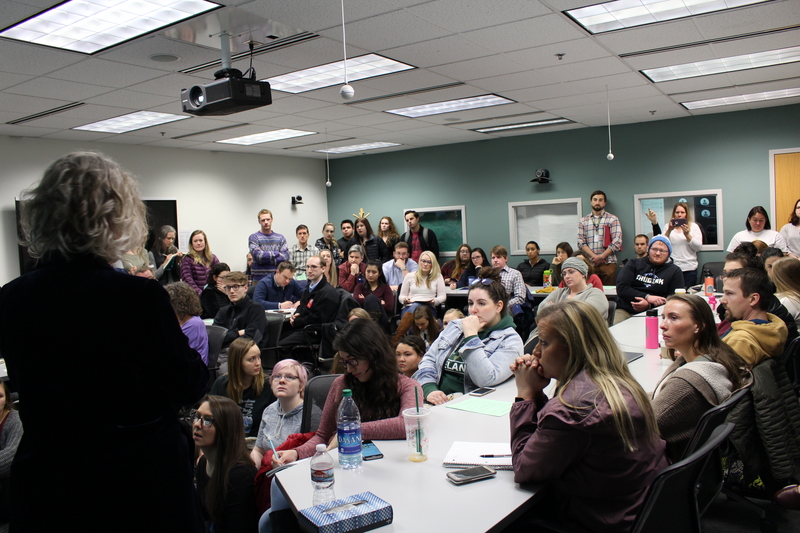 “There are a lot of folks in the UAA pipeline who are finishing up their teacher credentialing programs and we just don’t feel like it’s fair for those pre-service teachers to be out in the cold, for some of them, just months before they graduate,” Van Wyhe said. Van Wyhe says that while the students will still receive licenses despite a lack of national accreditation, the state plans on providing additional support to them as they move on to their careers. “There will be something additional that we will offer, either in terms of resources or support, to those teachers and the districts hiring them, so that everyone can feel confident and comfortable that those folks are prepared for the classrooms and the challenges they’ll meet,” Van Wyhe said. On February 4, the State Board will take a critical look at the timeline that led to the loss of accreditation and discuss the next steps for the university. Van Wyhe says it’s a serious problem that could have important consequences for UAA’s program. In the meantime, UAA chancellor Cathy Sandeen says the university is already looking at options for prospective teachers who will be graduating after summer 2019, including transferring to one of the other University of Alaska campuses. The University of Alaska Fairbanks and University of Alaska Southeast in Juneau both still have national accreditation for their education departments. Sandeen also clarified that the loss of accreditation for UAA’s education department is not reflective of the university as a whole — and that UAA is still an accredited institution. Meetings between the state and the university are set to kick off on Tuesday with School of Education Interim Director Claudia Dybdahl attending a work session with the state Board of Education.